I’m catching up after the holiday break, Buffy. Happy belated Hanukkah! I love your poem, especially the adorable last two lines. We just took the extra latkes out of the freezer to enjoy this week. Thanks for hosting, Buffy, and for the juxtaposition of power that you created so casually: the homely thoughts of food and family traditions shared and separate, up against the raging resistance to corruption in our public lives. We need both, both simultaneously, in order to keep moving forward, the latkes and the lights, the voices and marching words. May the light stay with you! I love your story and your cozy poem and all the details it shares. Feels like I’m right there with you! Christmas is…a lot. My favorite moments around the Christmas season are the quiet ones sitting in the dark, with the tree lit and the fire going. Or the night time drives where we see decorated houses. Huh. They all have to do with that contrast of darkness and light. Anyway, you are a light, Buffy! Glad your kids weren’t Christmas-scarred! Hehe. Thank you for hosting today, Buffy. I love your poem and how it gently reminds us that no matter what winter holiday you celebrate, it’s likely to involve special food, gifts, and light. There really is so much more that connects us than separates us. Another reason “to share words that light the darkness.” Happy Merry, to you and yours! I’ve so enjoyed learning about the Chanukah family traditions in my classroom this year. Several Christmas- celebrating Kindergarteners said, “WOW! I’m going to ask my mom and dad if we can celebrate Chanukah, too!” 🙂 Many thanks for your lovely, informative, and celebratory post today. Season’s Greetings! I was an educator in a community that had a sizable Jewish population. We teachers/librarians did our best to honor the traditions of all of our students. I had quite a collection of Chanukah books–including Hershel and the Hanukkah Goblins, the Chanukah Guest, The Magic Dreidels, Zigazak!, Moishe’s Miracle, Chanukah Lights Everywhere, and The Borrowed Hanukkah Latkes–that I read to the students in my class and later in the library. Those books were such fun to read aloud! Thank you for sharing some background around your poem–The photograph you shared is gorgeous and light-filled. I hope your holiday season is the same. And thank you for sharing the banned words poem– a balance of light & dark & words for hope! Happy Holidays, Buffy! I simply love your poem offering, and the image of the candles is dazzling. Thank you for sharing your light with us! I so enjoyed your poem, Buffy! We celebrate Christmas, but my mom taught at a Hebrew school when I was a child, so we had the opportunity to celebrate so many beautiful Jewish holidays with the families there. And now my friend Karen and I have fun sharing our different traditions with each other…your poem made me think about all of this goodness. Thank you. Happy late Chanukah and much love to you for 2018. Thank you for hosting! Having grown up with Christmas celebrations, I appreciate the glimpse of your Chanukah traditions. And don’t we all need a little more light? Thanks also for sharing Margarita Engle’s powerful poem. Thank you, Buffy, for sharing your holiday traditions. Your poem is full of warmth and love. And I have thought about writing a poem using those banned words. Margarite’s poem nails it. I’m glad you are able to share it. “Now, more than ever, we need to share words that light the darkness.” Let’s make this our goal for 2018. Thanks for your meaningful post, today, Buffy. 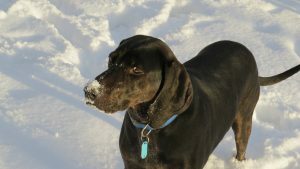 Thanks for hosting, Buffy, and for two fabulous poems! This time of year can be somewhat of a minefield when it comes to traditions, religions, beliefs and customs. I say, Keep Calm and Add More Rum to the Eggnog! And when in doubt, celebrate the Solstice which my favorite science-based holiday! Thanks for hosting! I’m celebrating my first day of break, with my grades all turned in, my college student home, and a few days of peace ahead! What a rich, informative and varied post Buffy. The poems were for me a mix of flowers and mud. It cover a broad spectrum. Poetry needs to cover all things and poets need the freedom to embrace words of their choosing, so thank you for affirming this belief. All seasonal & cultural celebrations deserve our respect and I see this in your words and the poetry you have shared. Merry Christmas. Thank you for hosting! We celebrated Chanukah for the first time this year. 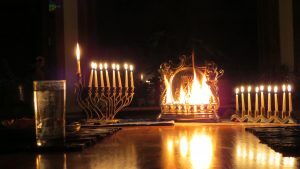 With all the things going on in the world, my husband and I decided that the messages of Chanukah–standing up for what is right, religious freedom, being a light for others–were things we wanted to teach our children. We kept it low key and we all had a lot of fun. Now it is on to the final preparations of Christmas. Whee! 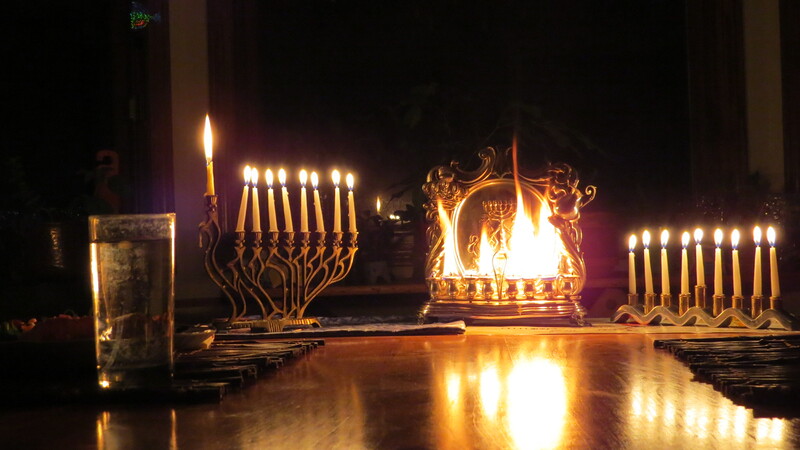 Thanks, Buffy for sharing your family traditions and the treasure of your family’s oil menorah. I loved your poem and fell right into the rhythm. And three cheers for brave Margarita for taking a poet’s stand against threats to freedom. She is so right. We all must let our voices be heard. May we find the grace to follow whatever light calls us. Thanks for this rich and full post Buffy. The light from the menorah’s is very special! I love your poem, the oil and donuts, I missed the oil this week due to being sick, but the lights went on. I also liked the egg roll and movies at the end–we usually take in a Christmas movie too. Thanks also for sharing Margarita’s poem, I missed this, and so glad she posted on it. And lastly thanks for hosting the Roundup this week, Cheers! Thanks for hosting, Buffy – and trust me, one need not be Jewish to enjoy eggrolls and movies on Christmas! I carry on the tradition that started when I was just 8 or 9, of going out for Chinese food Xmas Eve…and very often, we’d follow that up with a movie Christmas afternoon! Have a great weekend. I have taught children of many religions, and I loved learning about their holiday traditions. I’m so glad I had the opportunity to work in a school where many students were first generation immigrants. Your poem made me smile. Thank you for sharing it. Wishing you lots of love and light this holiday season and in the coming year. My neighbors have duo-holidays going on, and the mom says it’s a dilemma how much and when. They really want their children to enjoy the season, and slowly learn the important parts, too. We do celebrate Christmas, but try to keep the gifts thoughtful rather than over-the-top. The granddaughters, 6 & 8 are most excited still to see what Santa brings. Thanks for sharing your past holidays, what and when, and especially that lovely lit menorah from your great-grandparents, so special. I love the poem too, a light-hearted celebration of your Christmas. I think you know I responded to those 7 words in a haiku. Margarita’s poem is exactly right, a simple warning that’s truth! Thanks for hosting, Buffy and for sharing so much. OH, Buffy! I have always loved how you blend fun with the serious. It is a big deal to celebrate a religious holiday or not….to give a hat tip to another in the world that you live. And, it’s fun to read your Night Before Christmas –Post Chanukah poem. You’ve got all the bases covered. Your kids are fortunate to have such a fun mama. I have been trying hard not to let the current political situation affect me any more than it has. It’s tough. When a government attacks our language and our freedom to use it (despite ALL the silly “it’s not what you think” follow up tweets) it’s downright frightening. It’s really hard to distinguish the distractions from the serious anymore. It all feels serious. It’s an interesting time to be a poet. Thank you for your bravery, Margarita! Buffy, thanks so much for hosting the Roundup. I enjoyed your reflections about Christmas and Hanukah celebrations and your poem. It made me wonder what your own children have chosen to do now. Thanks also for sharing Margarita Engle’s poem. Sigh. These are crazy times. “Follow the light to this week’s Roundup…” – I had a hunch there would be light over here, and, behold, there is. (I love your sharing that your menorah was brought from so far away by your great-grandparents!!) Thanks for sharing Margarita’s poem, too – I missed it this week. But I didn’t miss the sad news that inspired it; glad for her response. Thanks for hosting, Buffy. I thoroughly enjoyed your poem. I hope your Chanukah was happy. I celebrate Christmas but our family doesn’t so much in the gift department. We all travel to be together and consider “togetherness” our gift.